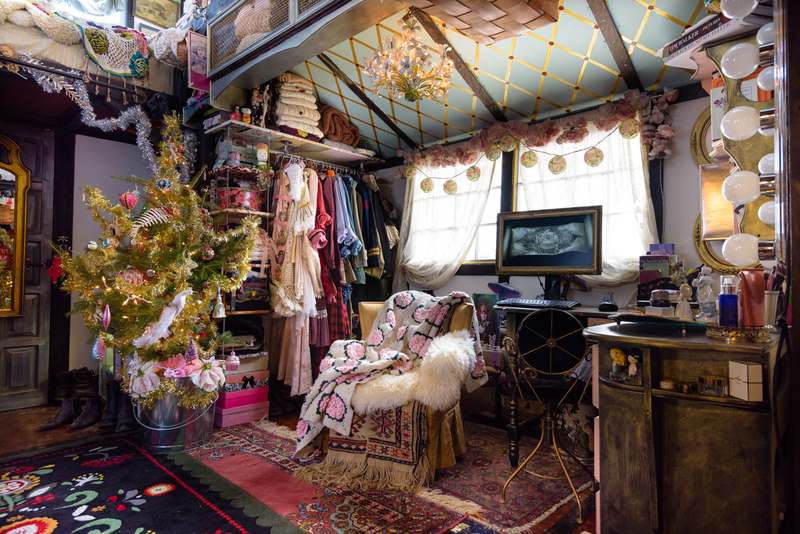 Enter the magical dwelling of New Hampshire residents Chloe Barcelou and Brandon Batchelder. By Madeline Bilis·	 12/16/2016, 4:08 p.m.
Christmastime conjures images of stockings hung by blazing fireplaces and wreaths adorning grand entryways. Decorations are a key part of the Christmas season—but how do you decorate if your house is only as big as a typical living room? 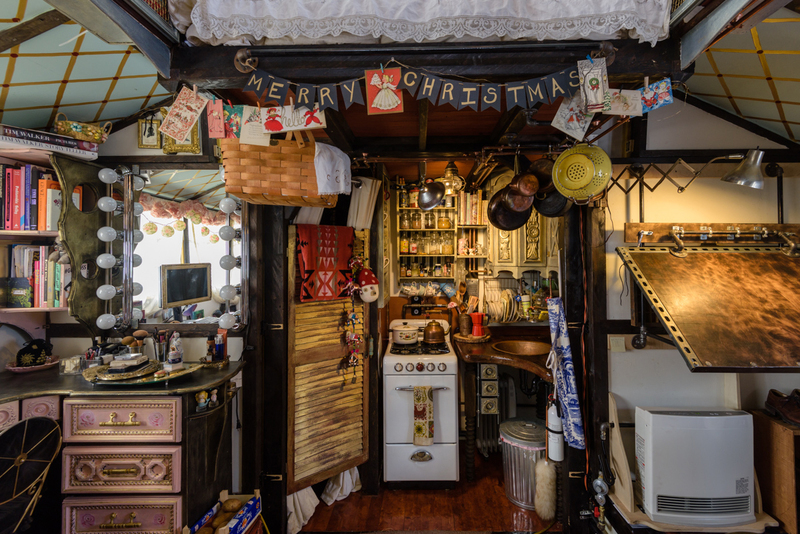 Chloe Barcelou and Brandon Batchelder live in an almost 400-square-foot tiny house on a farm near New Hampshire’s seacoast. The creative couple finished building the house last year, and will spend their first Christmas in it this year. 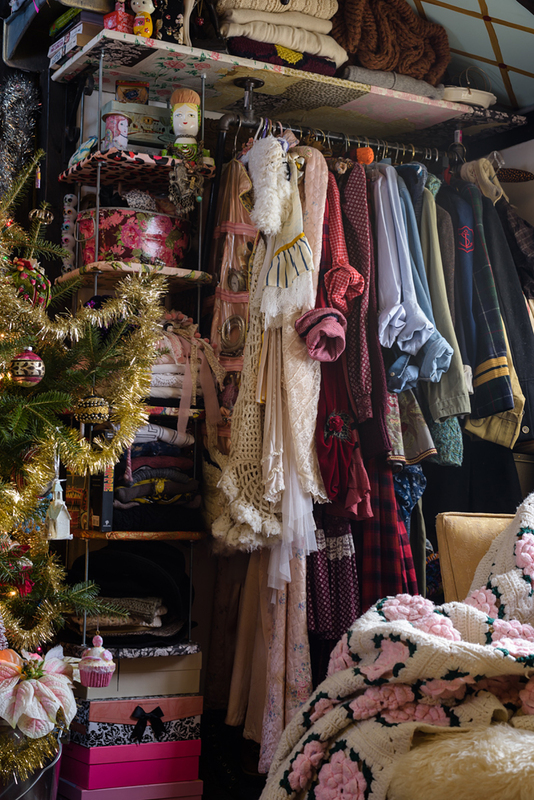 Selecting and crafting the perfect decorations was easy for Barcelou, who’s been outfitting the interior of the house with recycled and thrifted goods. 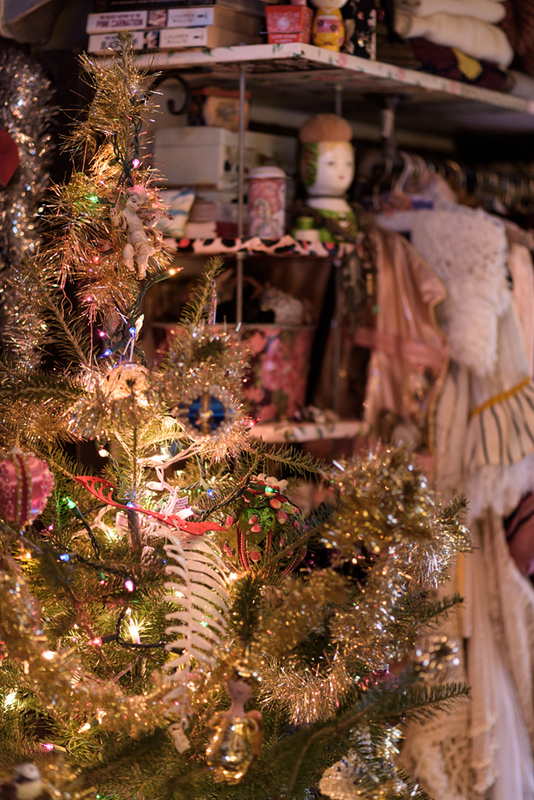 From handmade ornaments and garland to silver tinsel and plenty of glitter, the place is a cozy, pint-sized winter wonderland. Barcelou and Batchelder spotted their small Christmas tree on the farm they live on. Instead of cutting it down, they decided to dig it up. They’ll replant it after the season, and hope to reuse it next Christmas. 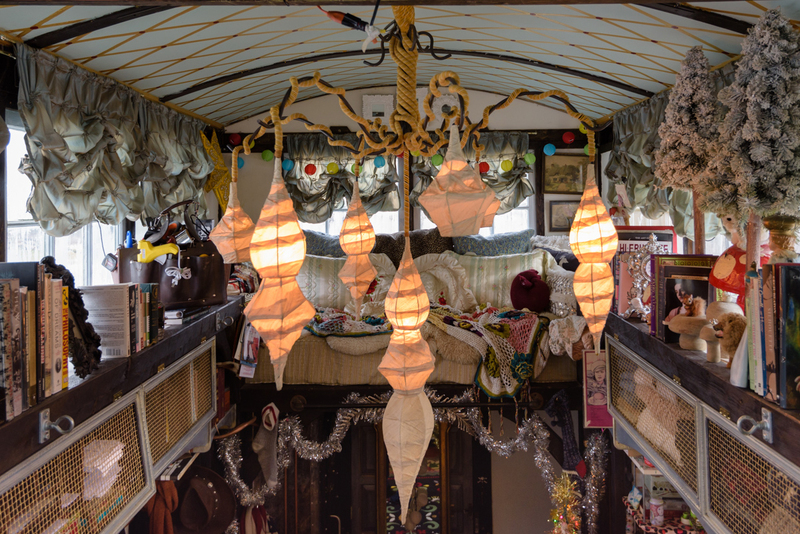 Year round, the house on wheels appears steampunk on the outside, and looks to be a whimsical fairyland on the inside. The entire house, says Barcelou, is an invention. 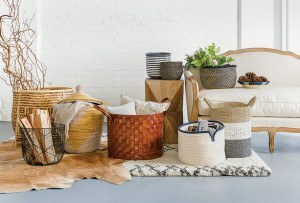 Almost everything was handmade or thrifted, and most of the furniture has been custom made or custom fitted by Batchelder. 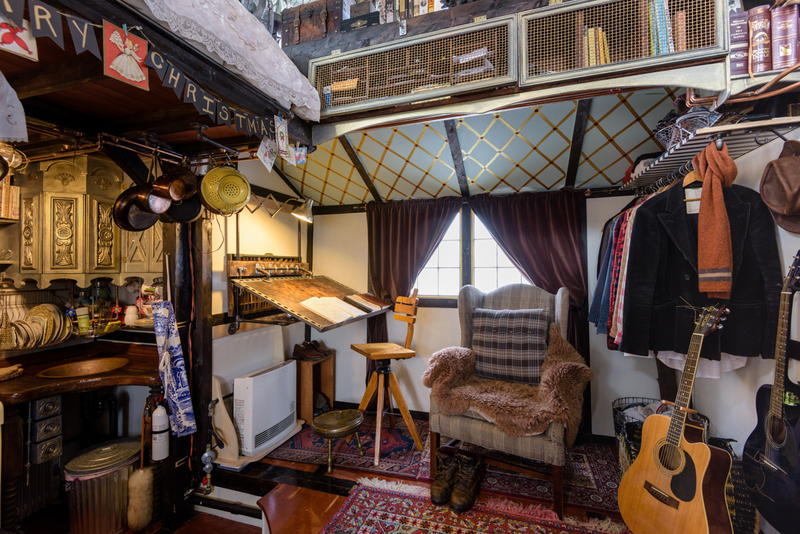 The couple began building their diminutive dwelling in 2014. They’d been moving from place to place for five years, completing odd jobs to make ends meet. Barcelou, a stylist and art director, and Batchelder, a carpenter, were inspired to downsize after building and designing movie sets together. 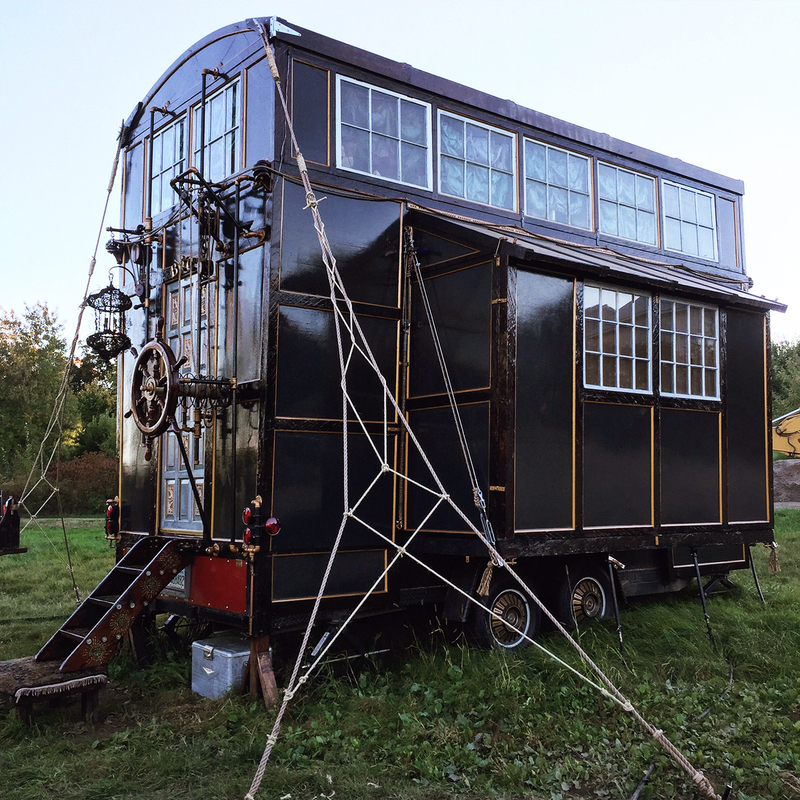 “After we were booked for our first film gig, I thought maybe if we had a house on wheels, we could go to the work instead of waiting for it to come to us,” explains Barcelou. Once they disassembled the first set they built, the couple decided to use the pieces to start building their house. They continued using materials from sets they had finished, and about 700 two-by-fours later, the place started shaping up into a home. 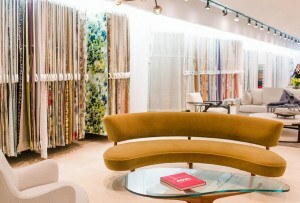 After nine months of hard work, Barcelou got started on whimsically outfitting the inside. She says her eclectic mix of items make the house feel like the inside of a jewelry box. 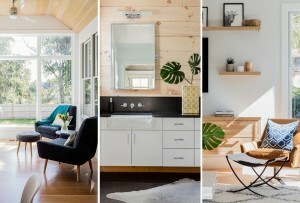 In 2015, the tiny house was featured on HGTV’s Tiny House, Big Living. 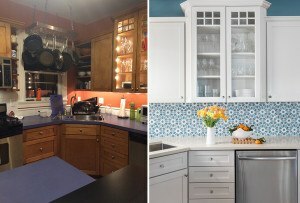 A follow-up episode is scheduled to air in the new year, featuring Barcelou’s interior decorating. She explains the house is just like a regular home, just (a bit) smaller. It’s waterproofed and winterized—the place has a ventless propane heater to sustain blustery winter nights, which is supplemented with electric heat. Like they say, good things come in small packages. Barcelou created the “Merry Christmas” garland by hand, using vintage Christmas cards she already owned. Barcelou and Batchelder have a bunny named Cosmos. Barcelou says he likes to lay under the Christmas tree (when he’s not busy nibbling on her Alice in Wonderland poster). 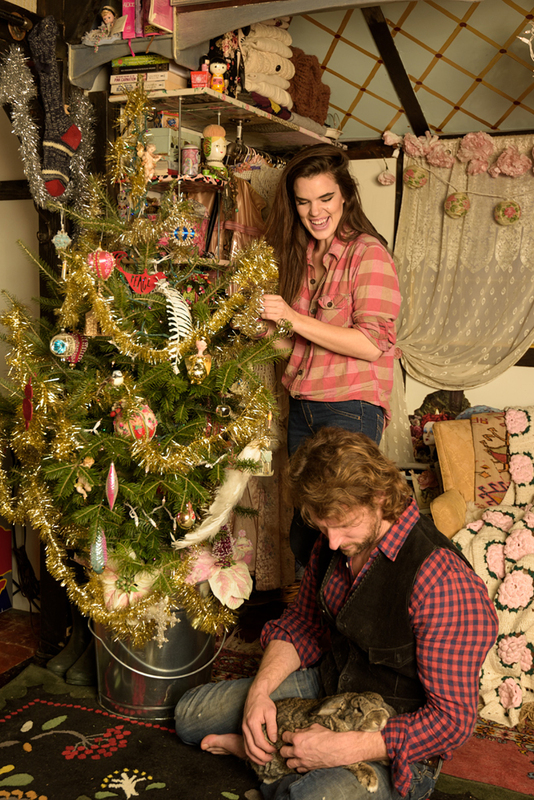 Instead of cutting down a Christmas tree, the couple dug up a tree from the farm they live on. They’ll replant it after the season, and hope to reuse it next year. 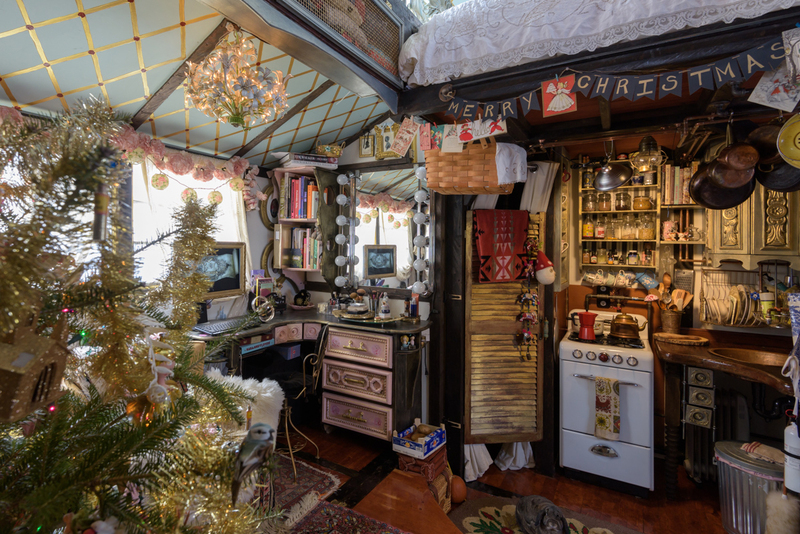 No space goes unadorned in the tiny house—not even in the closet. The garland above Barcelou’s desk, while not a Christmas decoration, is made out of spray painted coffee filters. 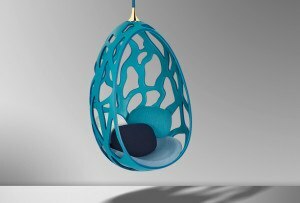 The chandelier was found in a scrap metal pile—Barcelou paid $5 for it. 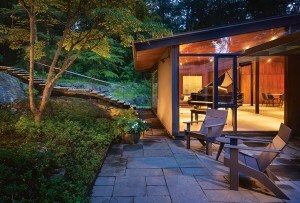 There’s enough room for Batchelder to display his guitars on his side of the house. Barcelou refers to their respective spaces as offices. Note the hanging tinsel and the frosted mini evergreens lining the shelf. “People always ask us ‘Oh, when will the house be done?’ And (Brandon) says it will be done the day we move out, because we’re artists and sort of perfectionists, too, so we’re always refining things,” says Barcelou. Batchelder’s mom gifted these tiny solar-powered lantern lights for the exterior of the tiny house. 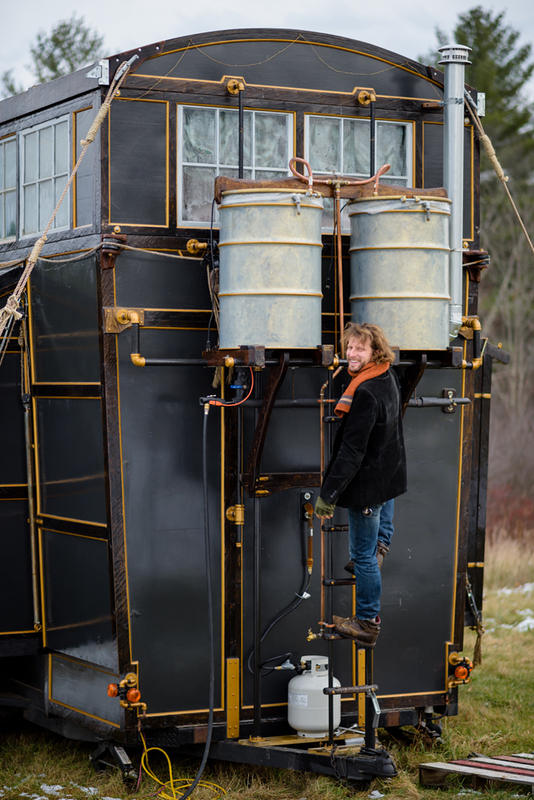 The collapsable tiny house is inspired by an old steamer trunk.